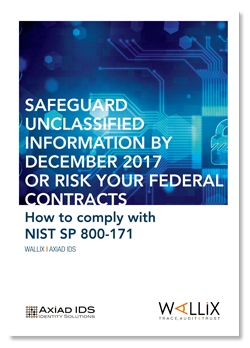 NIST SP 800-171 sets requirements governing how federal government contractors need to protect Controlled Unclassified Information (CUI) hosted in nonfederal information systems and organizations. Non-compliance presents serious consequences for contractors, including legal action by the government and termination as a contractor. This eBook focuses on one of the most complicated parts of the mandate - how multi-factor authentication (MFA) and Privileged Access Management (PAM) offer a comprehensive but cost-effective path to complying with these aspects of NIST SP 800-171.